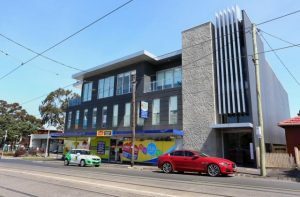 Cosmetic acupuncture Melbourne- we provide a health-focused, natural approach to healthy aging that’s founded on thousands of years of traditional Chinese medicine wisdom. What results can I expect from cosmetic acupuncture, and how does it work? Why should I choose cosmetic acupuncture over other treatments? What’s involved in a course of treatment? A brief explainer video below on cosmetic acupuncture. 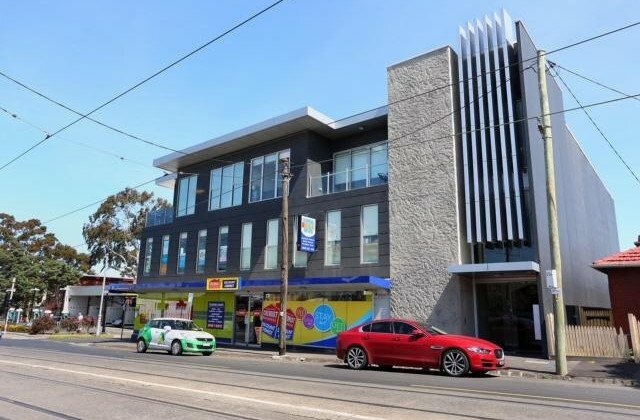 What are the benefits of undergoing cosmetic acupuncture in our Melbourne clinic? Cosmetic acupuncture can combine a facial treatment and the treatment of an underlying condition (such as muscle pain or stress) into one. 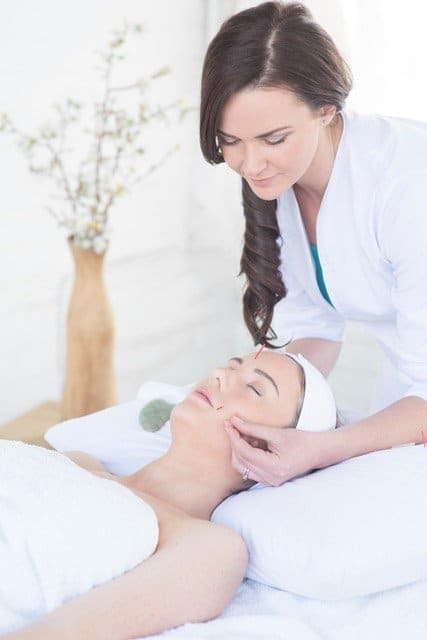 In a cosmetic acupuncture treatment very fine, smooth specialised facial needles are placed in specific areas of the face, in addition to traditional acupuncture points on the body. Cosmetic acupuncture may stimulate groups of facial muscles which may affect muscle tone. The desired effect when combined with acupuncture and traditional Chinese medicine (such as herbal medicine, lifestyle advice) is to affect positive change in the body and face, which may have a positive impact on your overall health and vitality. The ancient Chinese were clever at discerning health issues which were manifesting as disharmony on the face as a part of Chinese face reading; lines, facial colouration, and even the shape of your mouth and nose, were taken into account during a reading session. Some elements of the face were seen to reflect your state of health, and best treated with a combination of acupuncture, herbal medicine, dietary therapy, exercises, and meditation. It was theorised that when the body was back in harmony, health radiated from the face. 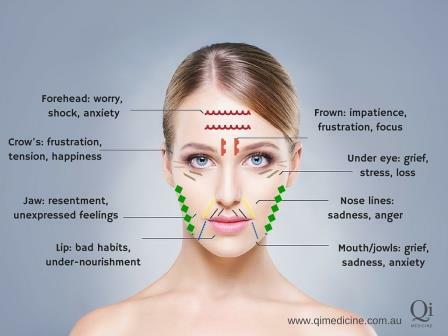 The registered doctors of Chinese medicine at Qi Medicine use Chinese face reading as a diagnostic tool during sessions and may be able to help you get a better understanding of what your facial features signify. Our personalised treatments serve to nourish you from the inside out, with a gentle, holistic approach. What results can you expect from cosmetic acupuncture? There is ongoing research to suggest that Chinese herbal medicine, skin needling, and acupuncture may be useful in a number of dermatological skin conditions. In addition, acupuncture on the face may help to stimulate relaxation in the small muscles and layers of fascia in the face. There are 43 muscles in the face alone and every one of them could benefit from a relaxing treatment to help them unwind (just like any other muscle in the body!). Treating facial muscles may influence the level of tension in your facial muscles– such as those found around the mouth and between the eyes- as it is in part the underlying muscles structure which determines the level of tension or relaxation in your expression. Sessions may help address problems at period time. If you have ever found that your skin gets worse with stress during your cycle, or you experience chronic cramping or lower back pain during your period, then sessions may help alleviate pain and bring you gently back into a state of balance. Our therapists pay special attention to hormone imbalances and women’s health when performing cosmetic acupuncture. What set’s Qi Medicine apart from other cosmetic acupuncturists is the inclusion of skin needling. Skin needling creates very fine micro tears in the deeper layers of the skin. These small tears initiate a healing response with the immune system, encouraging the laying down of new collagen and other skin cells. Skin needling was developed in the late 20th century so is still a relatively new field, with ongoing research into its usefulness with skin conditions. A recent study has found micro- needing to be considered a treatment option for those with skin of colour 2 . Skin needling is not overly painful (with more of a slight prickly feeling) with minimal bleeding when using with the specific rollers used in the clinic. You will be able to walk out of your session and get on with your day, without several days of downtime to heal. Unlike other treatments which peel off the top layer of skin, skin needling can help keep this top protective layer intact. Healing does take time- but we think you will enjoy every session. At Qi Medicine we make each treatment a nourishing experience, considering any stress and pain you may have accumulated through the week. Each individual will have different needs so the number of treatments needed will differ. As a general rule with acupuncture (but not with every single case) a series of treatments are needed relatively close together (ideally weekly) to gain therapeutic benefit. Generally, cosmetic acupuncture sessions are far less painful than chemical peels and laser resurfacing. The body acupuncture is often felt as a dull ache; however, not an unpleasant sensation. For the needle-phobic, the body acupuncture may be skipped upon request. Skin needling usually creates a prickling sensation as it is rolled over the face. It is a very quick procedure and all care will be taken to avoid any discomfort during the session. During skin needling only 0.5mm rollers are used, no anesthetic cream is needed and minimal bleeding will occur. 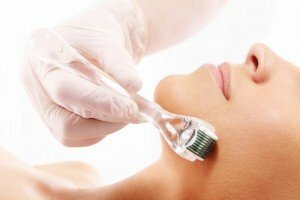 There is no current evidence that suggests skin needling with a long needle (longer than the 0.5mm to 1.5mm for thick acne scarring- used at Qi Medicine) produces better results, so always think carefully about undergoing a ‘medical needling’ session offered by other salons or clinics, with a 2mm or 3mm long needle. These sessions are often performed with a general or local anesthetic and result in substantial bleeding, lengthy downtime and often carry a much higher price tag as an anesthetist is usually employed. Why should I choose natural facial rejuvenation over other cosmetic treatments? Cosmetic acupuncture is considered less invasive than many other skin rejuvenation procedures available today, such as injections or fillers. Cosmetic acupuncture is founded in Chinese medicine which will always take into account your underlying health during diagnosis and treatment; gut issues, long-standing stress, hormonal imbalances, lifestyle, and diet. The goal of therapy is to heal and repair the body as naturally as possible from the inside out. Do you feel that there is a deeper connection between how you look day to day and your emotional state? Do you resent the fact that it seems that fillers and injections are touted as the ‘best’ go-to skin solutions out there? If this is you then Qi Medicine may be able to help you. Performed by a fully qualified and registered Doctor of Chinese medicine in a clinical setting. Minimal side effects (see potential side effects and contra-indications below). 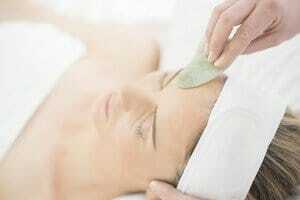 Utilises the body’s own natural healing properties for rejuvenation. Natural results, no fake expressions or risk of paralysis from injections. May lead to improvements in well-being as each treatment is based on Chinese medicine principles to balance the Qi (energy) of the body and mind. Can address underlying issues such as stress and muscle and joint pain. A session will involve an initial health assessment, a discussion about which areas you would like to target and what outcomes we can expect. Following this, you will get to relax under warm, fluffy towels in a calming environment. The initial skin needling lasts for about 10 minutes whereby a single, sterile dermal roller will be used on the face. This will be followed by a gentle facial acupuncture session to further address muscle imbalances. After the initial acupuncture and skin needling treatment, you will enjoy a jade stone facial treatment using organic anti-aging serum, to further tone and relax the muscles in the face. To round off your session you will receive a soothing neck and head reflexology massage. Sessions will address energy blockages throughout the system, often leaving you feeling refreshed and revitalised with a heightened sense of well-being, certainly the best part of a treatment! Each session is cumulative and will build on the last. You may detect small changes after the first treatment and more lasting changes after several sessions. If you are experiencing any of the following, you are generally not advised to undergo treatment. Contact the clinic if you are unsure about your individual circumstances. By Sheena Vaughan. Follow Us on Google Plus and Facebook and stay up-to-date with all the latest news and deals with Qi Medicine.